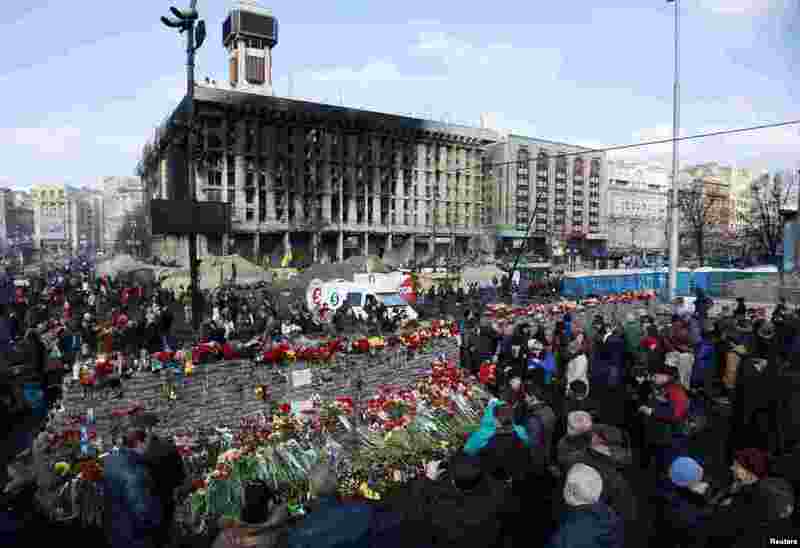 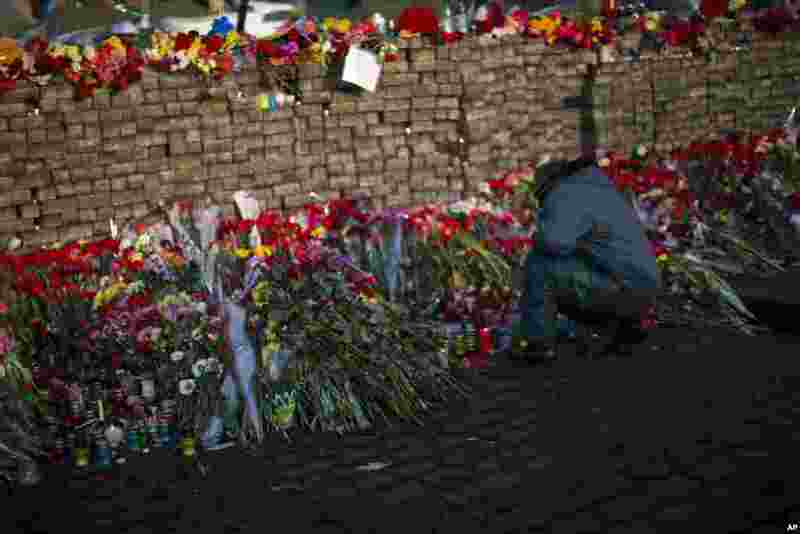 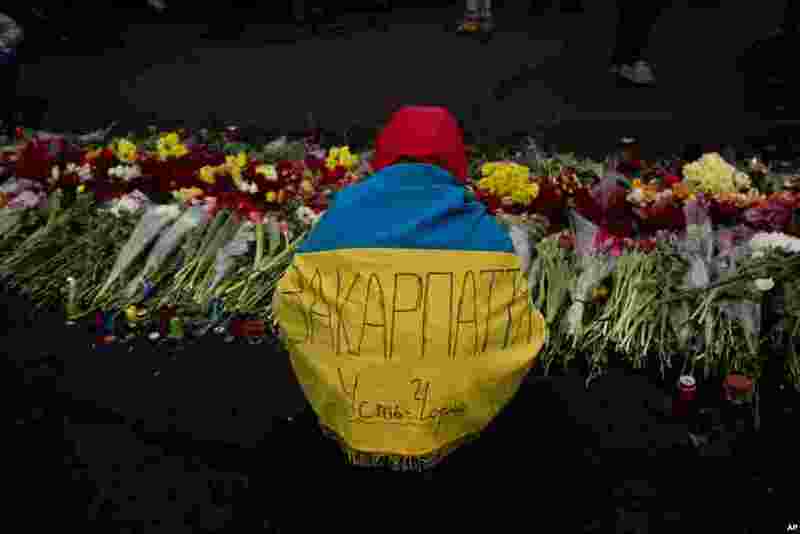 5 People lay flowers at the barricades in memory of the victims of the recent clashes in central Kyiv, Feb. 24, 2014. 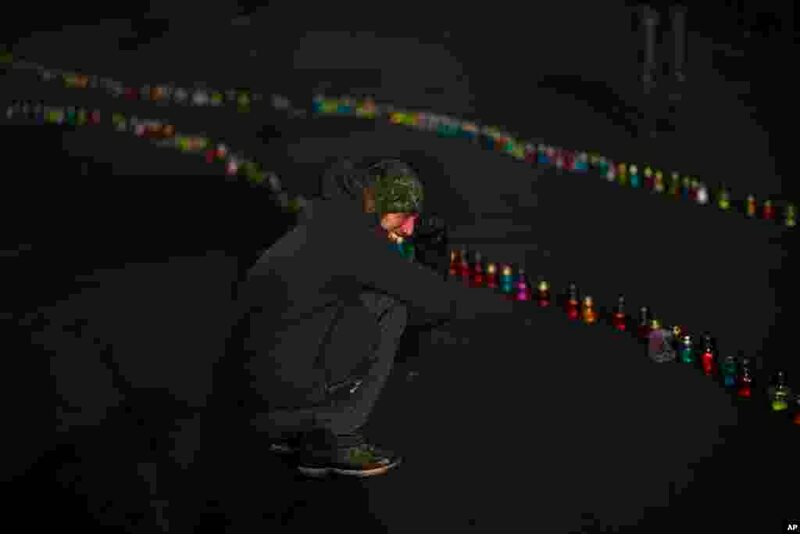 6 A man kneels as he pays his respects to fallen anti-Yanukovych protesters near Kyiv's Independence Square, Feb. 24, 2014. 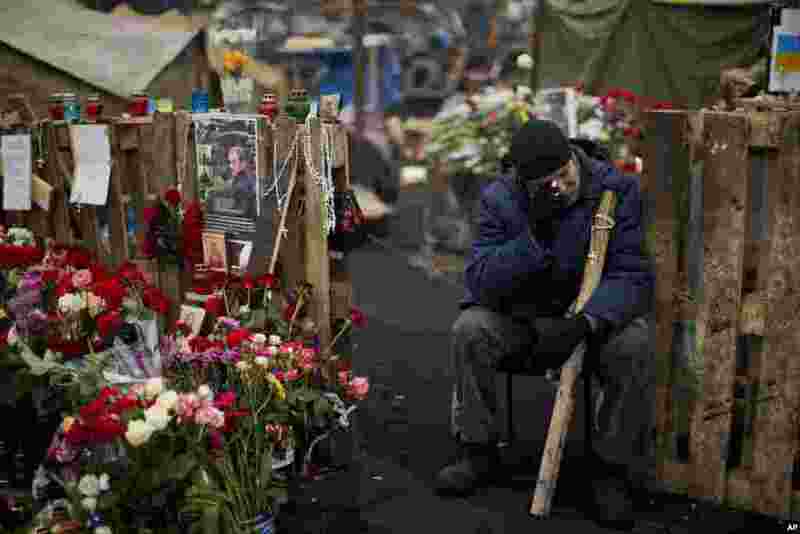 7 An opposition supporter cries near to a memorial for the people killed in clashes with the police at Independence Square in Kyiv, Feb. 24, 2014. 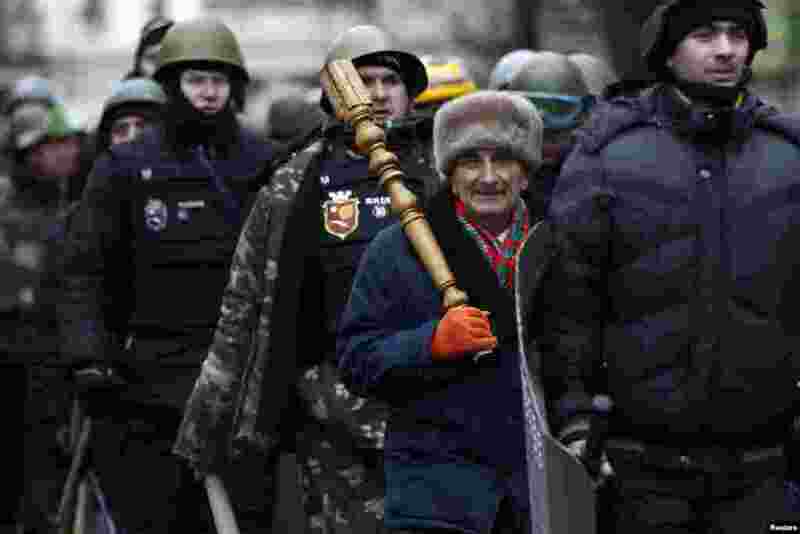 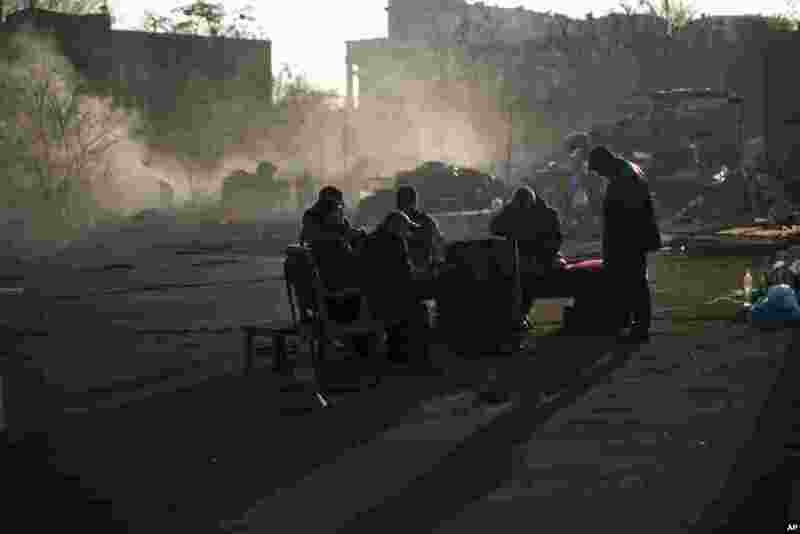 8 Opposition supporters warm themselves around a fire as they guard one of the streets heading to Kyiv's Independence Square, Feb. 24, 2014. 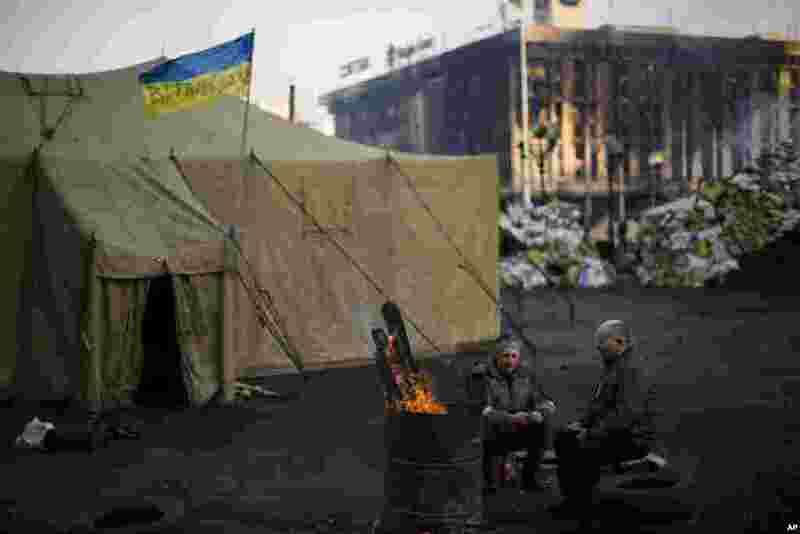 9 Opposition supporters warm themselves around a fire in Kyiv's Independence Square, Feb. 24, 2014. 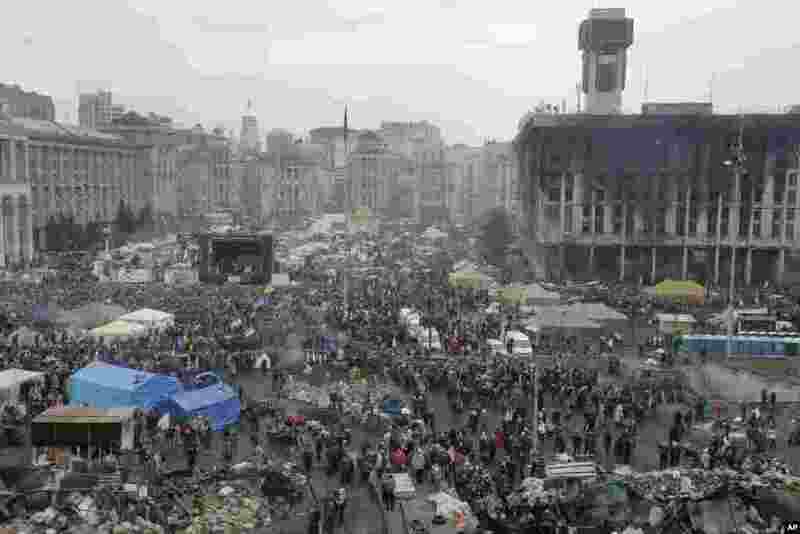 10 General view of Kyiv's Independence Square, the epicenter of the country's recent unrest, Feb. 23, 2014.